Below you will find information regarding our industry partners that Clarke Energy Fund Management has the opportunity to work with in Oil and Gas Exploration & Production. Energy Partners Fund has elected to participate with E & P Operator LLOX, LLC to acquire direct participation Working Interests on up to 14 prospects for 2018. Prior to this year LLOX 100% self-funded and moving forward is retaining 75% to 90% Working Interests in all their prospects. LLOX LLC, the subsidiary to LLOG Exploration, was formed in 2014 to continue their onshore and shallow water exploration of Louisiana and Texas Gulf Coast oil and natural gas resources. LLOG Exploration was formed in 1977 and has since grown to become the #1 privately held oil producer in the United States. They currently produce over 50,000,000 BOE annually and boast a very compelling 70% success rate in deep water exploration and development in the Gulf of Mexico. Since inception, LLOX LLC has successfully hit 25 out of 35 wells in Texas and Louisiana giving them a 71.4% success rate in their onshore and intercoastal wells. Their current production is nothing short of staggering with daily production of 19 MMCFGD & 2000 BOPD and cumulative production over 8.6 BCFG & 967 MBO in Louisiana alone. Already this year, LLOX made two major onshore discoveries, Algoa 1 & 2, with estimated production reserves of 30 BCFG & .25 MMBO. These two wells are currently producing a combined rate of 25 MMCFPD and 900 BOPD. Forge Energy is an independent exploration and production company focused on value creation through acquisition and leasing, consolidation and exploitation of mature oil and gas producing properties in the central United States. Founded in 2011 and headquartered in San Antonio, Forge is supported by a total of $400 million in private equity commitments. Fundamental to Forge Energy's success is an emphasis on the safety of its employees and contractors while respecting the environment and communities where the company operates. Detailed technical assessment, disciplined capital management and cost-effective operational tactics are critical tools utilized at Forge. 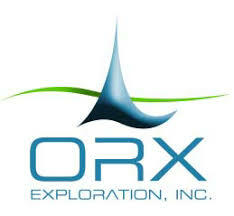 ORX Exploration, Inc. provides oil and gas exploration and production services. Founded in 2007, ORX is a leading technology driven sub-salt exploration company with it's headquarters in and committed to New Orleans, Louisiana.